What was the purpose of this? Falling apart or what? 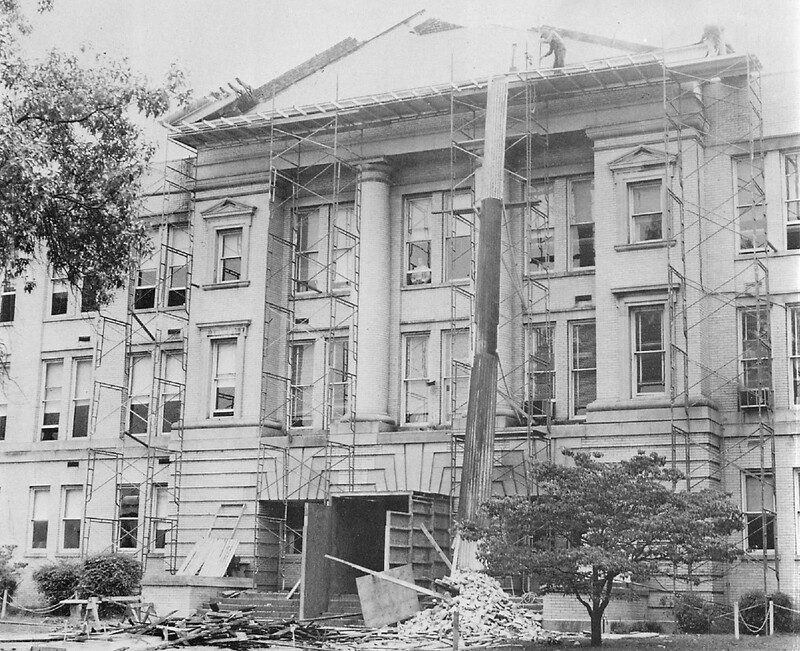 During the 1965 school year, portions of the ceiling on the 3rd floor fell in. Never heard exactly what caused it, but I expect it was leaking. I always thought those columns were made of wood. But now I see they were bricks. Amazing workmanship.